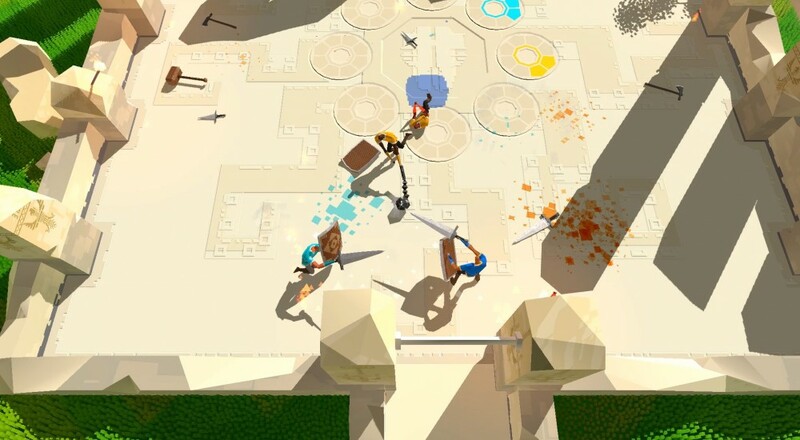 The New Zealand based developer Frogshark has updated their first title, Swordy, with a new Missions mode that lets you and some friends battle together instead of against one another. The title first debuted in the Steam Early Access program as a multiplayer brawler only, but this new update is part of the developer's push to add single-player and cooperative elements to the game. The most interesting part to Swordy is its control scheme. While it is a twin-stick based game in some ways, it also incorporate a fair amount of physics. In the competitive mode, your objective is to take out your fellow players by swinging your weapon around and attempting to hit them with it. In the new "Missions" mode, your goal is much the same, only its against AI opponents. There are only three missions available to play through cooperatively for now, but the developer has plans to add more in the future. Swordy is available for $14.99 via Steam Early Access and requires a controller to play. It supports up to four players locally. Page created in 1.5409 seconds.